The NovoStar coatings line offers proven solutions to the demanding needs of the high tech and rapidly changing electronic and semi-conductor industry. 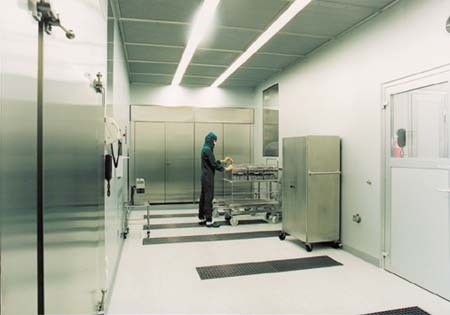 Superior products provide excellent chemical and heat resistance, especially for immersion service. Superior industrial maintenance coatings offer 100% solids (no solvents, no VOC's) and high solids formulations. Superior products bond both mechanically and chemically to the substrate. Superior products provide excellent wear resistance. • Superior products do not create hazardous waste. 100% solids, deep penetrating primer designed to seal porous concrete. Strengthens and seals substrate alleviating blistering and bubbles. Refer to data sheet SC-1100. Hybrid novolac coatings designed for immersion service (water and mild chemicals). Can be used as floor coating or secondary containment. Refer to data sheets SP-2000W & SP-2000R. A 100% solids novolac coating. Excellent floor and wall coating for storage, warehouses, and clean rooms. Available in a flame retardant version. Refer to data sheets SC-3100 & SC-3100 FR.